Well met, my dudes. My first TES game was Skyrim in 2014, with a main character by the name of Bjorn Fenrenrson (hence my name on here). Since then, I've also played Oblivion, ESO, and TES Legends. I am currently playing ESO on my Ebonheart Pact character, Hyllak Fenrenrson. 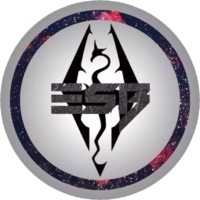 I love the games and lore of the Elder Scrolls Series and decided to make a UESP account to help out the community in any way I can. Aside from doing (minor) edits on here, I have a TES iFunny profile, ElderScrollsBjorn. I play on Xbox 360 and Xbox One, so if anybody would like to add me, my gamertag is UxorialNumber33. This user has been on UESPWiki for 2 years, 4 months, and 23 days. This user has made a grand total of 51 edits in 873 days. This user is a Scholar of the UESP ESO guild on the North American Xbox One server. This page was last modified on 19 April 2017, at 19:44.